Readers of this blog will recognize the quote above, from Paul Bowles’ 1949 novel, “The Sheltering Sky,” as having previously appeared here at EEOTPB. It is one of my all time favorite quotes, and I keep a copy taped to the whiteboard above my desk at my office, alongside a weathered printout of Shelley’s “Ozymandias of Egypt”, and the classic villanelle by Dylan Thomas, “Do not go gentle into that good night”. But it is Bowles’ quote that I read most often, and I also keep an electronic copy on my phone, although I could probably delete it as I know it well by heart. I was thinking of this quote last Friday, October 18th, as I was making my way north on I-95 from my home in northern Broward County, Florida to my office in Boca Raton. It was 6:15 AM (or thereabouts), and there was a full moon hanging low in the western sky. But this was not just your ‘run of the mill’ full moon. This was the kind of moon that you very seldom see no matter how many times you try. This was the kind of moon that only sheepherders tending flocks at night and astronomers perched in mountaintop observatories get to enjoy seeing. Certainly not the kind of moon one generally sees as one is maneuvering down the fabled New York to Miami, balls-to-the-wall, flip-em’-off, lay on the horn and hit ’em, main drag, known as Interstate 95, on the cusp of rush hour. So that is what happened. I wanted to take a picture of the moon, but at 75 mph with a tractor trailer half a car length from my rear bumper, snapping a picture was out of the question. In the interest of public safety, I waited until I pulled into my office parking lot at around 6:35. I parked my car and quickly jumped out, giving a lady that I recognized, but really don’t know, a bit of a fright as she was unloading her bag out of the trunk of her car. “I’m just taking a picture of the moon,” I said to her, as I rushed across the parking lot, my laptop computer bag in one hand and my cell phone camera at arms length in the other. “Oh, that’s nice,” she said, as she nearly ran away from me toward the safety of the building. 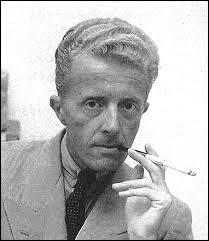 So after that, I went into my office and sat down and read Paul Bowles quote again. Somehow I felt a little better for it. “Yet it all seems limitless”..that full moon you witnessed just didn’t want to be caught but in your memory. My favorite full moons are those wild ones. You might be onto something. It did seem to just elude me.